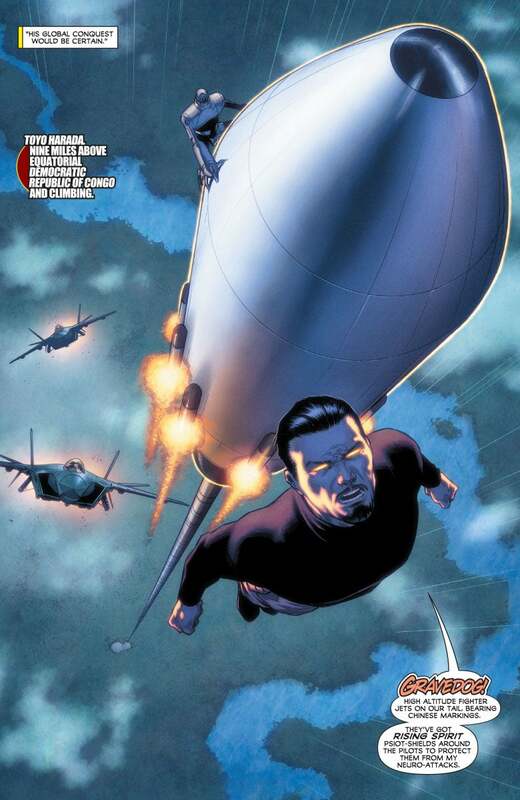 A lot of Valiant’s world of superheroic characters can trace their way back to the guiding, sinister hand of Toyo Harada. 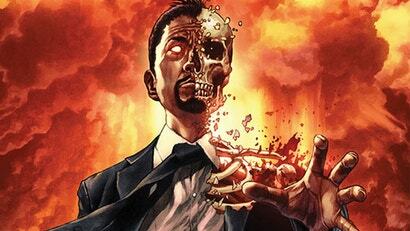 Now, a new series wants to explore how he became the powerful figure he is — and we have an exclusive look inside. 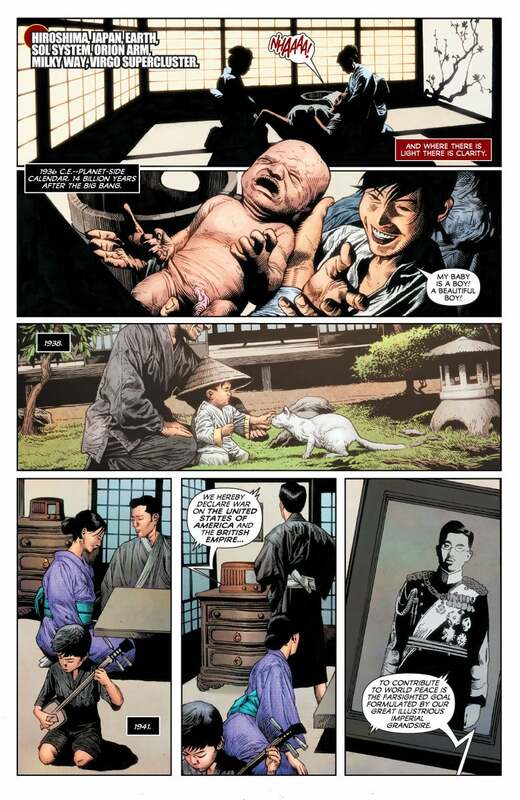 First announced earlier this year, The Life and Death of Toyo Harada will unite Harbinger and Imperium writer Joshua Dysart with Mico Suayan, CAFU, Doug Braithwaite, Adam Pollina and many more artists for an in-depth examination of one of the most crucial figures in the Valiant Comics universe. 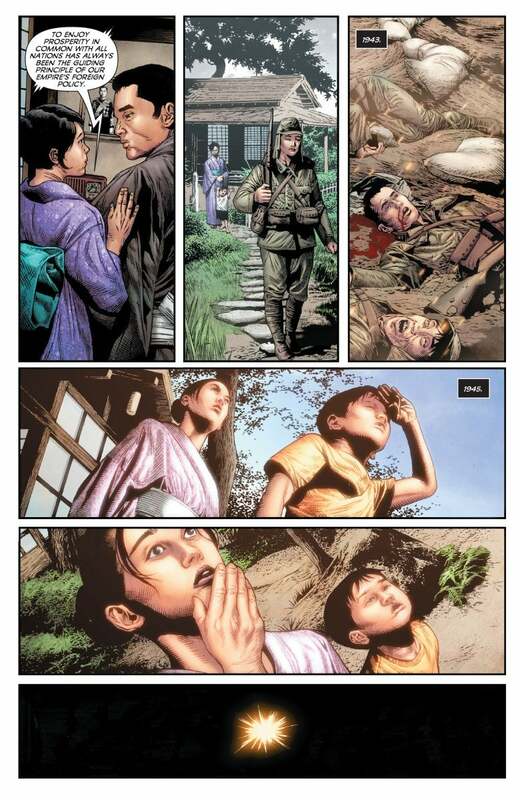 The six-part miniseries will cover everything from a young Harada witnessing the nuclear bomb dropped on Hiroshima in 1945 — which, as you’ll see below, awakened his advanced psychic abilities — to how he founded the infamous Harbinger Foundation, a public front for his plan to find and awaken the “psiot” superhumans of society in the hopes of one day using them to enact his wishes for a perfect future. 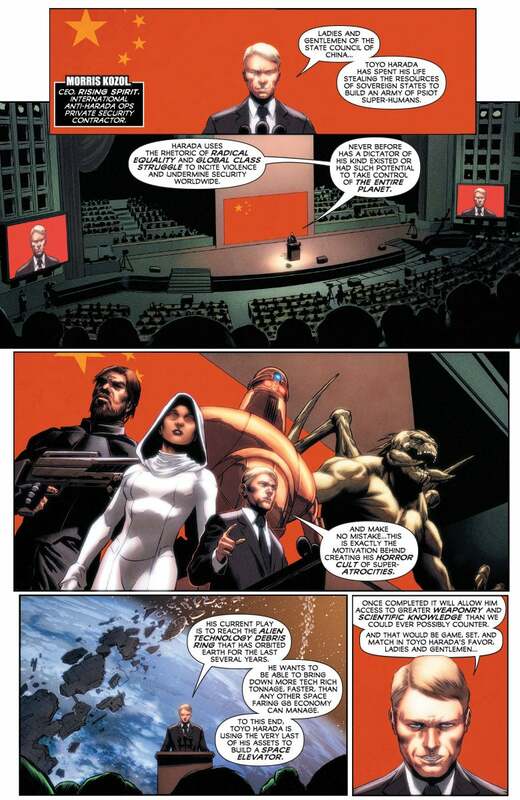 Of course, it’ll also cover how some supergroups of the Valiant world (including the Harbingers, Harada’s former team of psiots who rebelled against him) are presently trying to stop the world’s most powerful man from completing his sinister plans along the way. 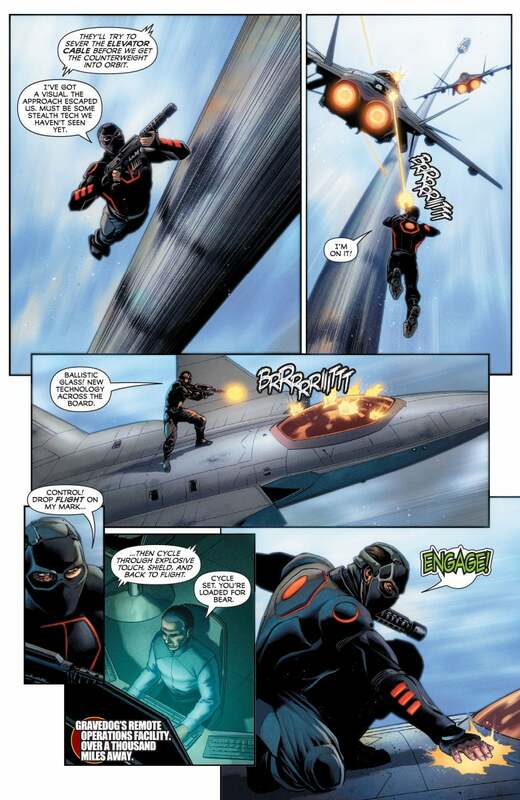 Although it covers some fundamental moments in the Valiant universe’s history, Dysart sees The Life and Death of Toyo Harada as a great stepping on point for people looking to dip their toes into Valiant’s comics. 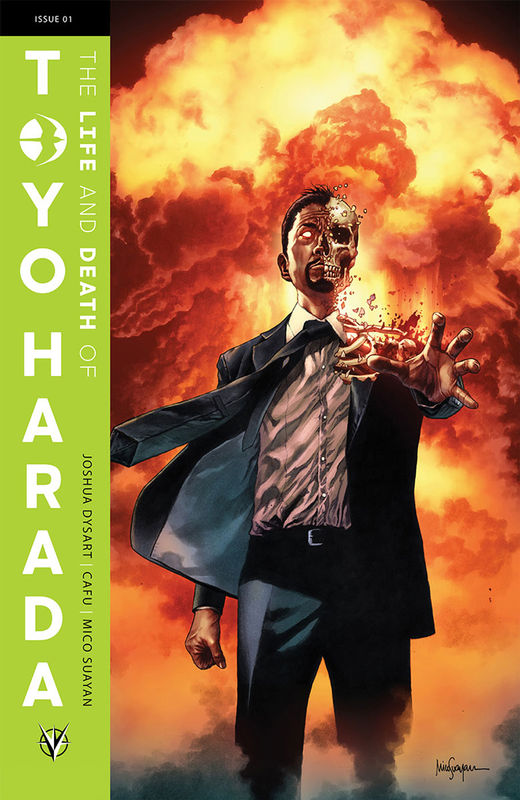 “Life and Death of Toyo Harada is an easily accessible story for new readers,” Dysart told us in a statement over email. 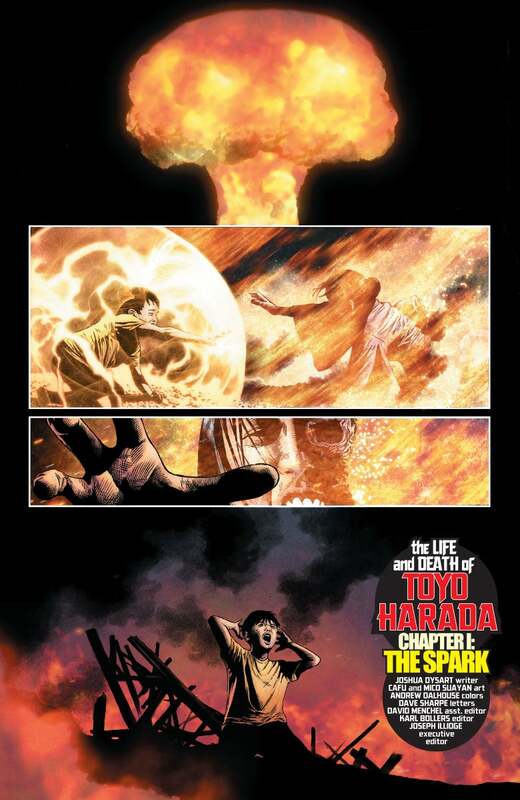 You can see what’s in store below in the first six pages from The Life and Death of Toyo Harada #1 below, making its debut here. All Images: Story by Joshua Dysart, Art by Mico Suayan, CAFU, and Andrew Dalhouse, and Lettering by Dave Sharpe. The Life and Death of Toyo Harada #1 hits shelves in March 2019, and Valiant will be speaking more about the series at New York Comic Con this week.